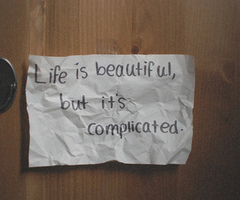 All I can say is that everything in my life is getting each time more complicated. Maybe it's normal and things are gonna go back to how they were. Maybe not. But I have hope that things will change and I'll make my best so it can happen. Need to go know. Write latter.